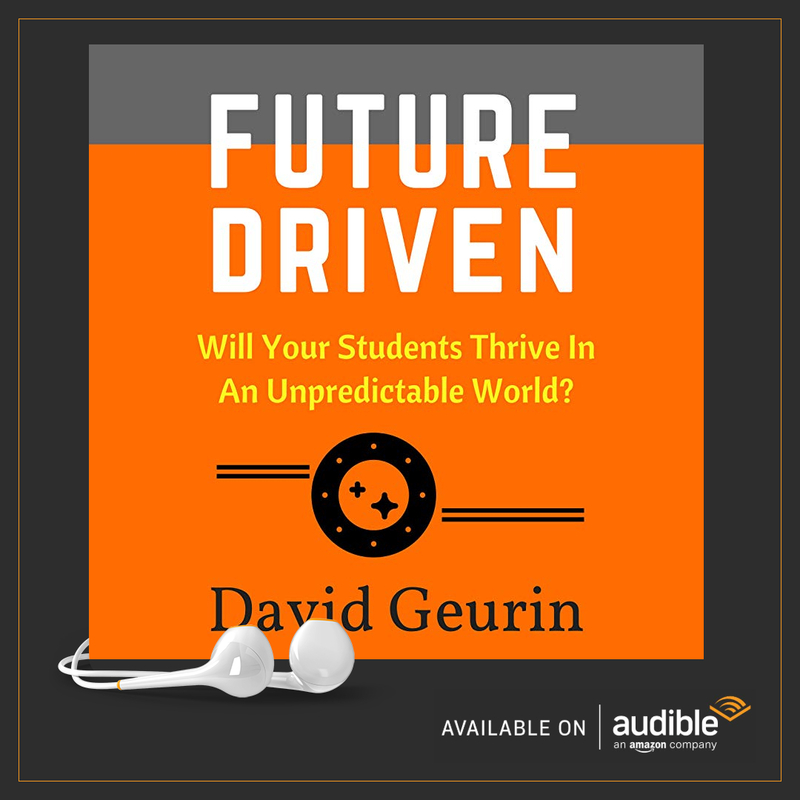 The @DavidGeurin Blog: Who Are You Listening To? Every day you hear from people who build up and people that tear down. You encounter voices who care about you, who lift you up, who invest in your well-being. You also encounter those who take away, who speak carelessly, and who doubt you in every way. As an educator, you will always have people who invest in you, and you will always have those who try to tear you down. It's true for everyone. But who will you listen to? Will you spend your time thinking about the critic? Or, will you choose to focus on the positive? It's your choice. You can't control who you might meet in the course of your day, but you can choose how you respond to every influence. You can choose to magnify the words of affirmation, hope, encouragement, and truth. Or, you can choose to magnify the doubts, fears, and frustrations. see the best in you. cheer on your best efforts. are there when things are rough. There are a number of people who are my champions. I draw strength from their encouragement, and that in turn, helps me to give more to others. When we fill ourselves up with the positives, we can overflow into the lives of others. Your influence matters too much to allow negative people to bring you down. 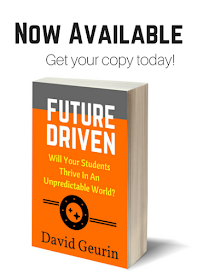 Your students are counting on you. And your colleagues are counting on you too. Most of all your family is counting on you. So much of who we are is influenced by who we listen to. 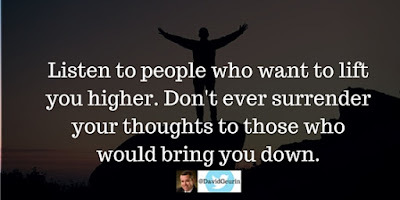 Listen to people who want to lift you higher. 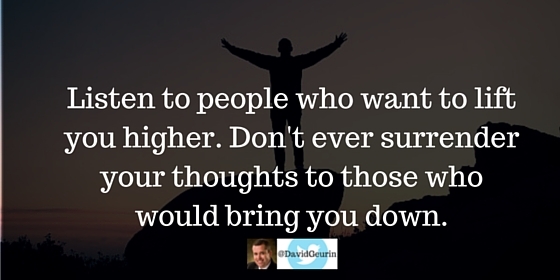 Don't ever surrender your thoughts to those who would bring you down. Question: Who do you listen to? How are you inspired by your champions? 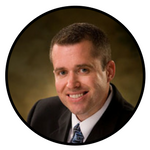 Leave a comment or respond on Facebook or Twitter.